Graham Reynolds loves to explore narrative in his work. This tendency makes him a natural fit for the film, theater and dance work that form one of the cores to his composing career. 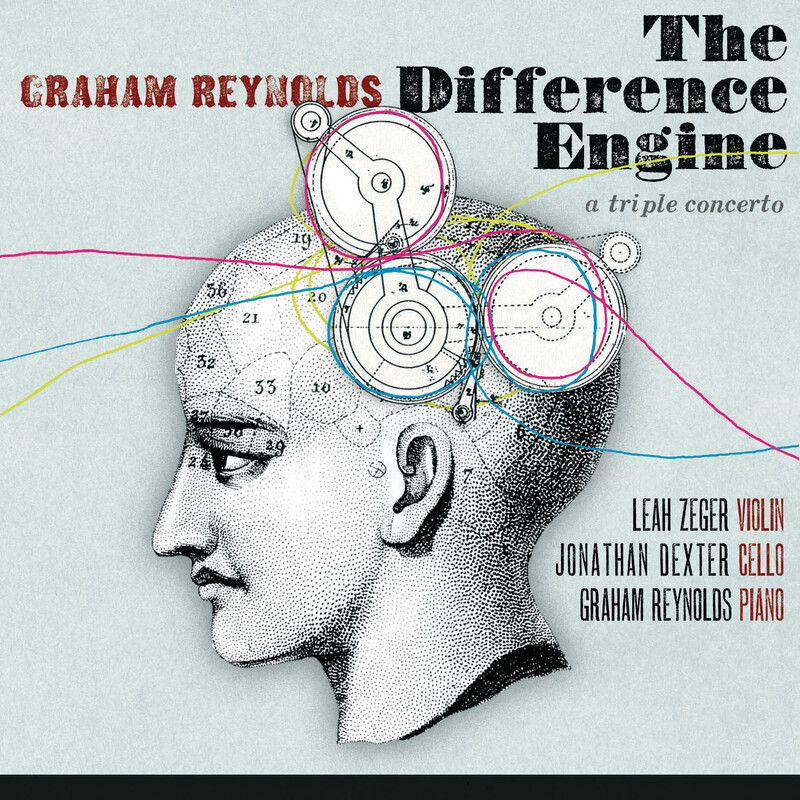 In fusing a loose concerto format with the story of Charles Babbage and his invention the difference engine, Reynolds' composing voice finds itself in a work that is intense and driving, beautiful and intimate, personally expressive and broadly accessible all at the same time. Developed over a course of years, the initial ideas for each movement were introduced and inspired separately before being woven into this one piece. The musical onslaught of the opening movement came to Reynolds during a lecture by LB Deyo on Babbage and his work, inspired by the ferocious pace of both Babbage's thinking and the calculating speed of his invention. The fourth movement was developed in a very different form for the Rude Mechs play "The Method Gun", now touring the country. The fifth movement started as a solo piano piece, an Austin Museum of Art commission, in response to the work of Sol Lewitt. Reynolds joins other alt-classical voices in a 21st century approach that is no longer in rebellion against tonality and melody, nor desperate to prove their validity through focus on a "unique" extended technique, while folding 20th century ideas from clusters to modal harmonies to polyrhythms into a broad vocabulary. The completed concerto "The Difference Engine" premiered on February 6th, 2010 with a 35-piece string orchestra in a Golden Hornet Project performance at Ballet Austin’s Austin Ventures Studio Theater. Soloists Leah Zeger on violin, Jonathan Dexter on cello, and the composer himself on piano fronted the debut, with parts written specifically for their skill set and personal voices. Those voices were then captured for this CD. Not fully realized in his lifetime, the difference engine was the masterwork of 19th century inventor and mathematician Charles Babbage, an attempt to create the world's first computer. A remix of each movement forms the album's second half with contributions from DJ Spooky, Octopus Project, Grammy-nominated producer Adrian Quesada of Grupo Fantasma, Golden Hornet Project's Peter Stopschinski, and finally one from the composer himself. "The opening of Graham Reynolds' Difference Engine doesn't hide anything in the background. The short, growing, sliding I [section] is filled with syncopated plucks, rapid notes, and tremendous slides ... The music is urgent like the soundtrack to a daring chase scene with only a fleeting moment of repose that contemplates the distance the piece has traveled before hurtling ahead to the conclusion ... Somehow, the inclusion of the remixes doesn't distract from the actual program and, instead, bolsters it."